How many assertions does this sentence contain? It contains one assertion that is a principal proposition. Therefore, this is a simple sentence. A compound sentence contains two or more principal propositions. 1. Talent is power; tact is skill. It contains two assertions that are principal propositions, either of which may stand by itself and make complete sense. 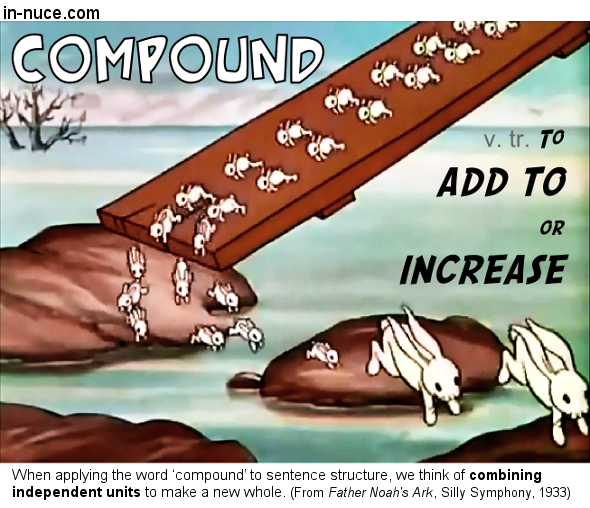 Therefore, this is a compound sentence. When diagramming, treat each principal proposition separately. 2. Every man desires to live long, but no man would be old. It contains two assertions that are principal propositions. Tell which of the following sentences are simple and which are compound. Identify each principal proposition. Example — Spring arrives, flowers bloom, and nature awakes. 1. We hunted the bear, but we never killed it. 2. The descending torrent overwhelmed the poor sailor, and he was drowned. 3. The wealthy man’s wallet was stolen, and the robber escaped unpursued.